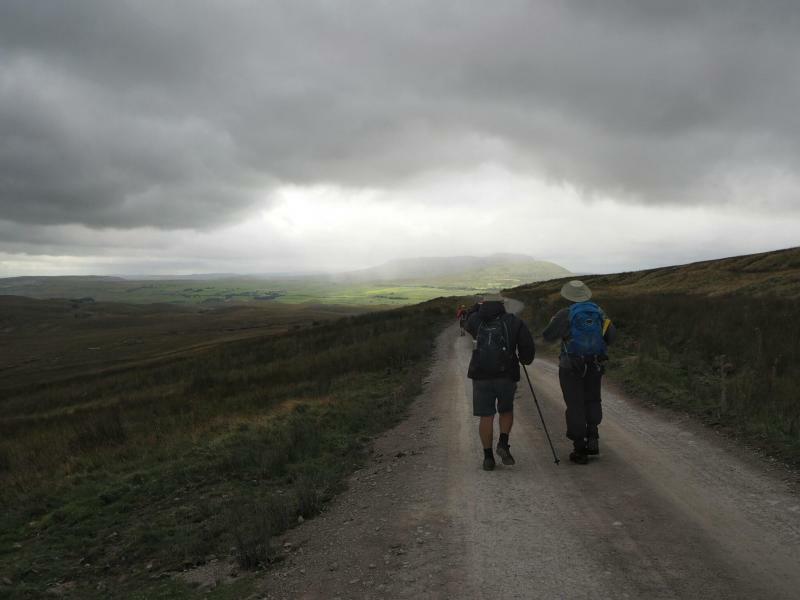 The Dales Way Plodders Walk - Leg 6, Sedburgh to Grayrigg, Wednesday November 18th. 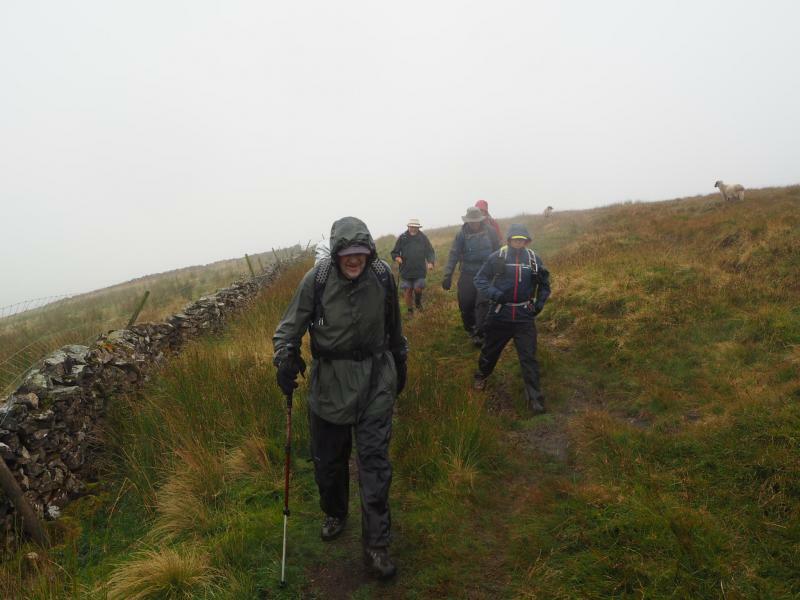 NINE Plodders endured the wind and rain driving conditions to meet at Sedbergh for the penultimate Stage of The Dale's Way. 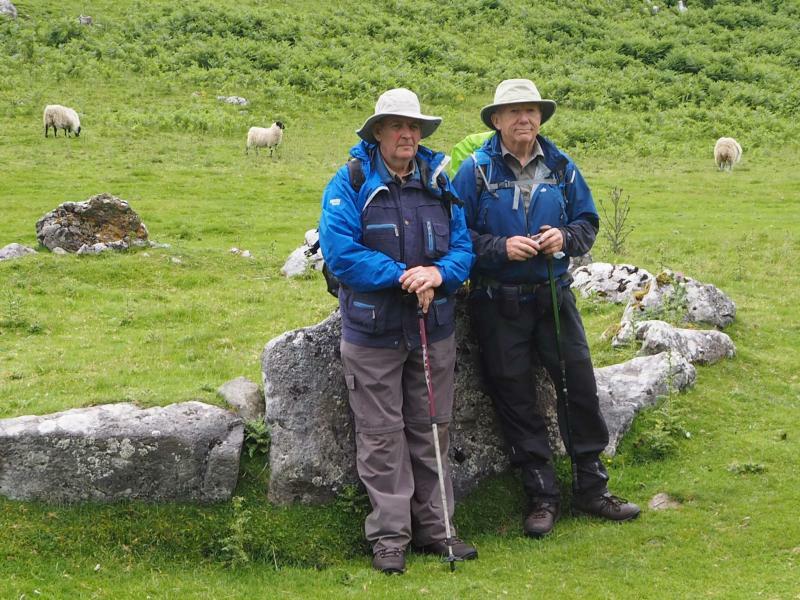 Neil and Allan left their cars at Grayrigg and Bernard kindly picked them up and took them to the start point in Sedbergh. 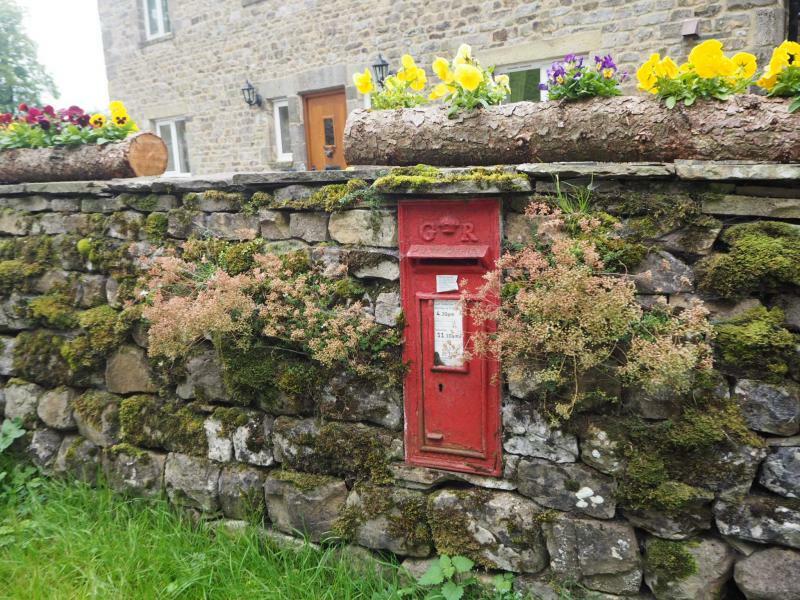 On reaching Sedbergh the was no sign of the remaining Plodders even though a message had been received saying they were there waiting. 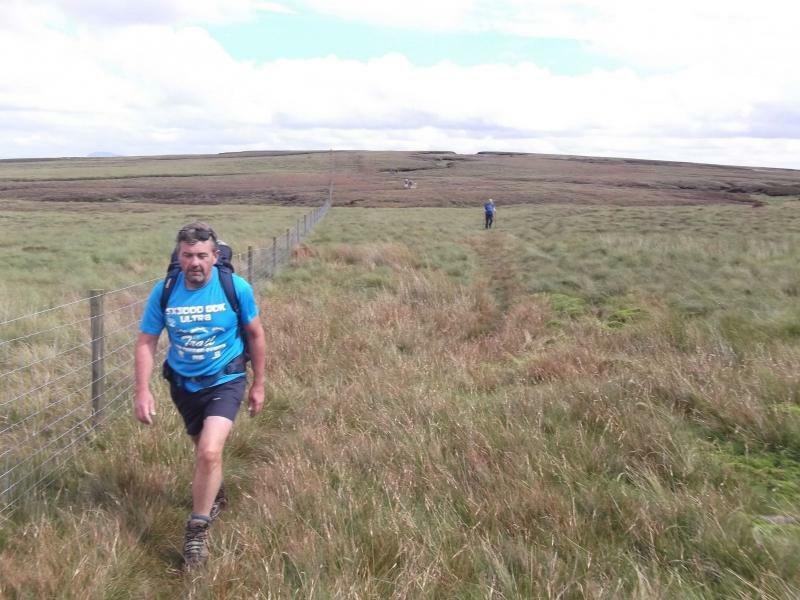 Neil checked the other car park but still no sign and phoned to find out exactly where they where, it turned out they were in fact on the correct car park but neither party had seen the other so it was turned 11 am before they all set out for Grayrigg. 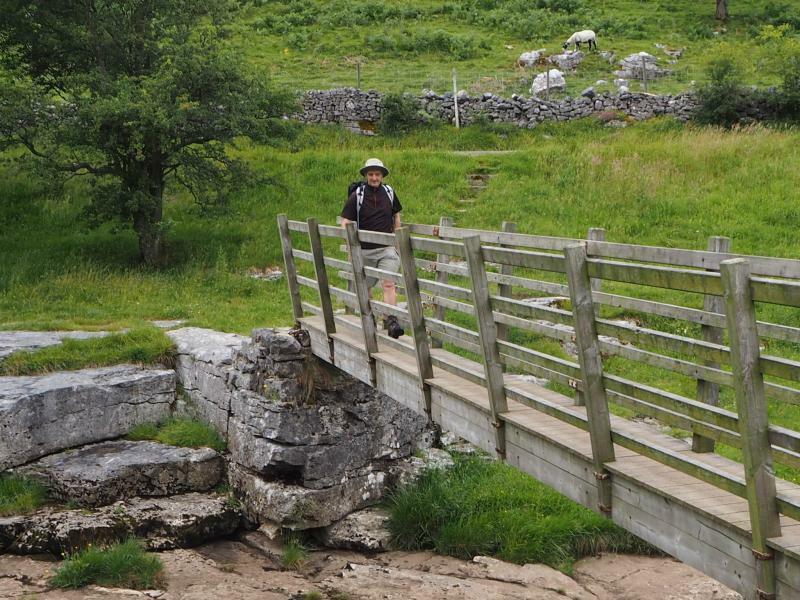 Neil announced that they may have to change the route slightly due to the height of the River Lune. 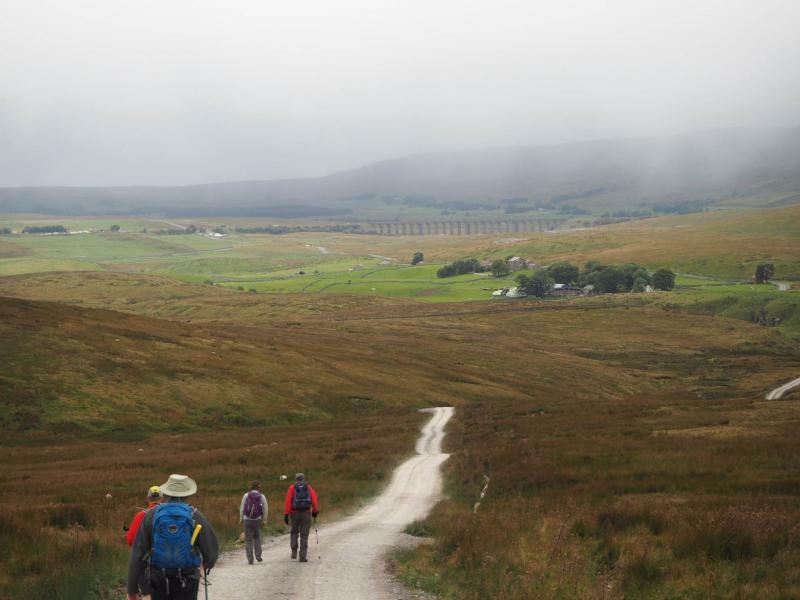 Initially the route proved easy to follow but mud and rain were a large feature of the morning. On reaching tarmac the going was easier but proved the Leaders downfall as Neil missed the turning and nobody mentioned it, even though it was noticed, as they thought it was one of the predicted diversions. It was only when we got to a bridge crossing the Lune that Neil realised his mistake and on taking a GPS reading found he was off the map, a short drinks break and a recalculation we did manage to work out where we were and with the help of John J's GPS map we found a way back to the correct route. 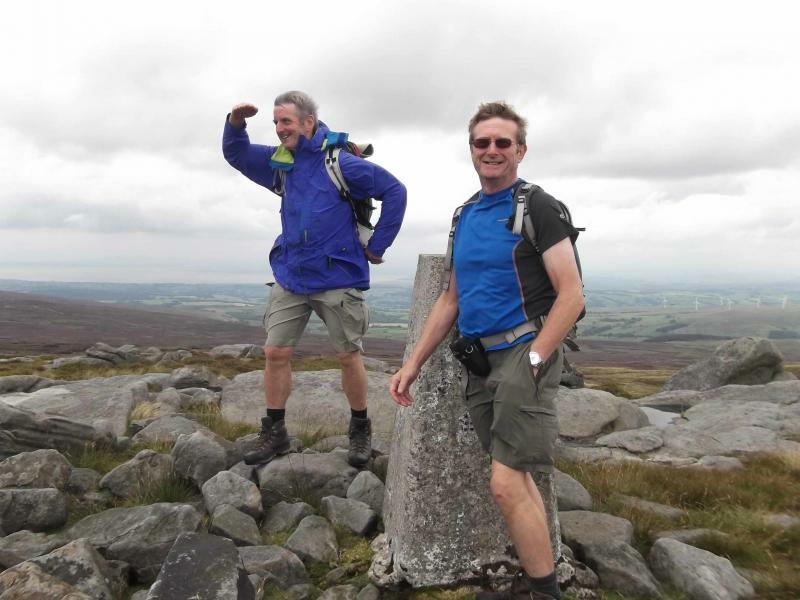 The route was then followed using John's GPS map to ensure no further mistakes. 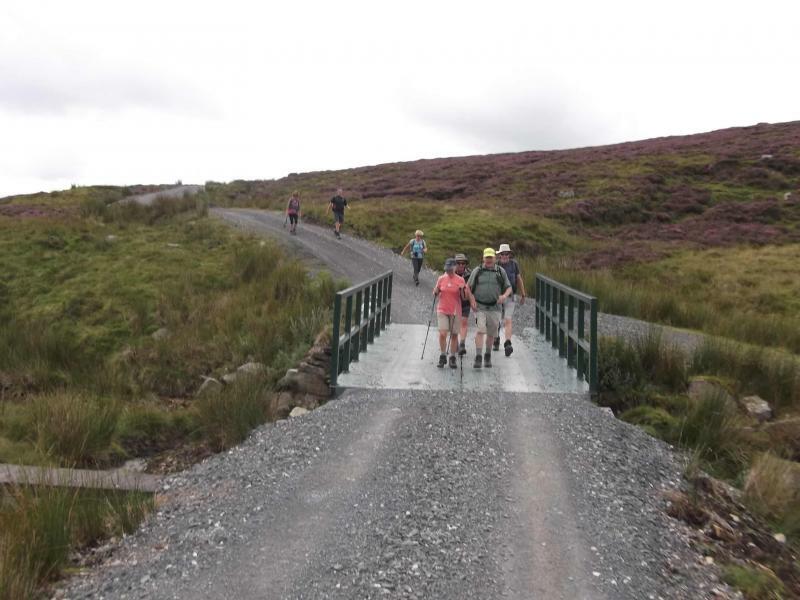 We were aware of a major obstacle ahead, a ford which would be nigh on impossible to cross, however, on reaching the spot we found a bridge had been built and the way was clear for us to proceed. Further along the path it was a different story, the river had risen above the path at a kissing gate and it would have been thigh deep to get through. Roger followed the fence line up and found a suitable spot for climbing over it, using Heather's sit mat to protect our nether regions from the barbed wire. The rain did subside for short periods but the mud was relentless and tiring on the legs. 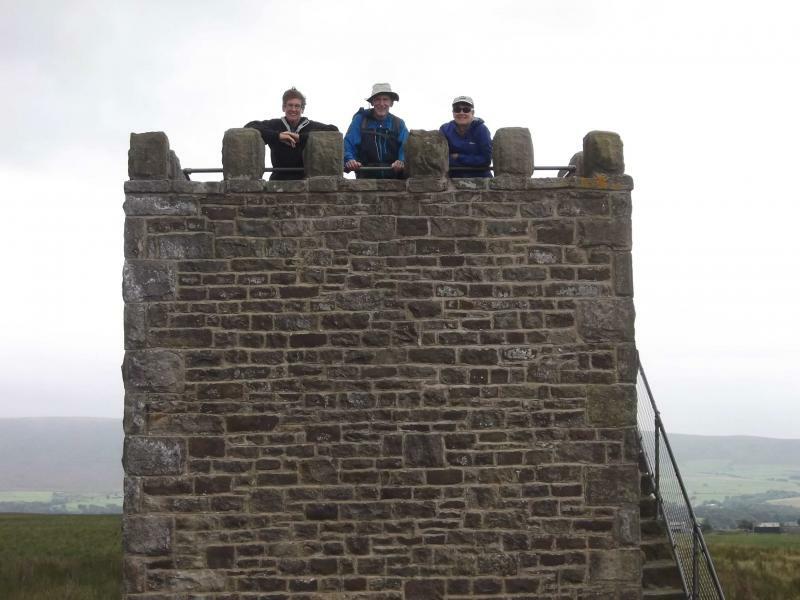 Finally The Crook Of Lune Bridge was reached and a brief drinks stop was taken before the long climb through more slutch and bog up to the bridge over the M6. Neil slipped on the way up and Mike helped pull him back to his feet and further up the field a brief stop was made to access the situation as it was beginning to go dark. 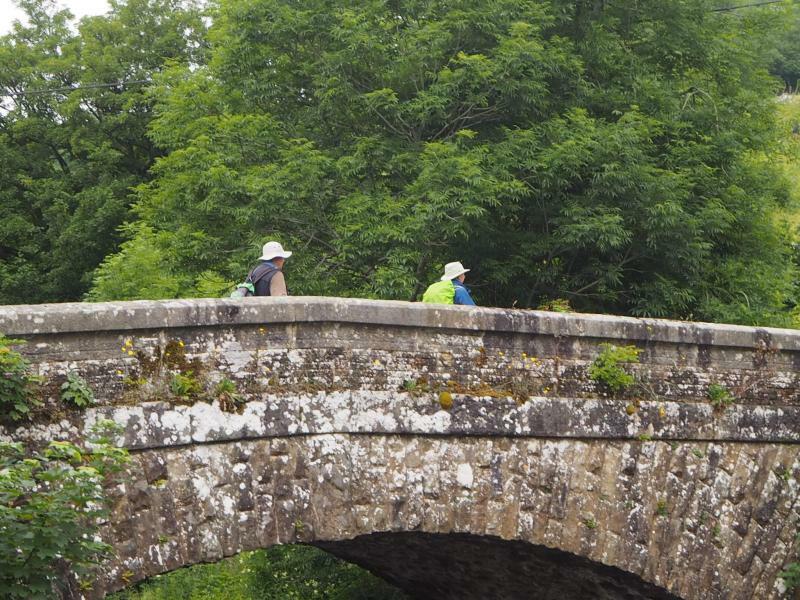 As we approached the bridge Neil offered to wait at the side of the road as he felt he was slowing the party up but he was talked into carrying on and Roger volunteered to carry his rucksack. From here it was better going and a decision was made to stay on tarmac back to the cars as it was now dark and it would be easier to navigate along the minor roads. 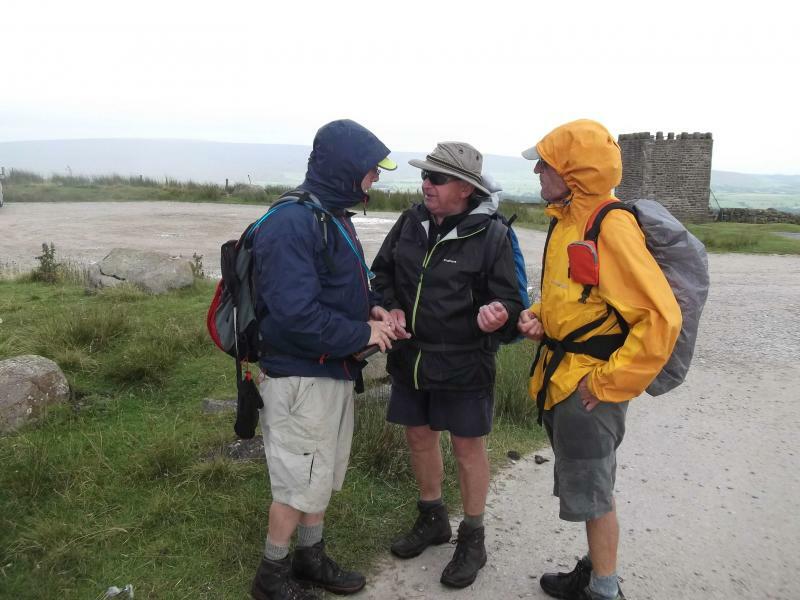 It was turned 5pm when we all made it back to the cars, and just to finish us off it started to rain as we tried to remove our wet clothing for the drive back to Sedbergh. 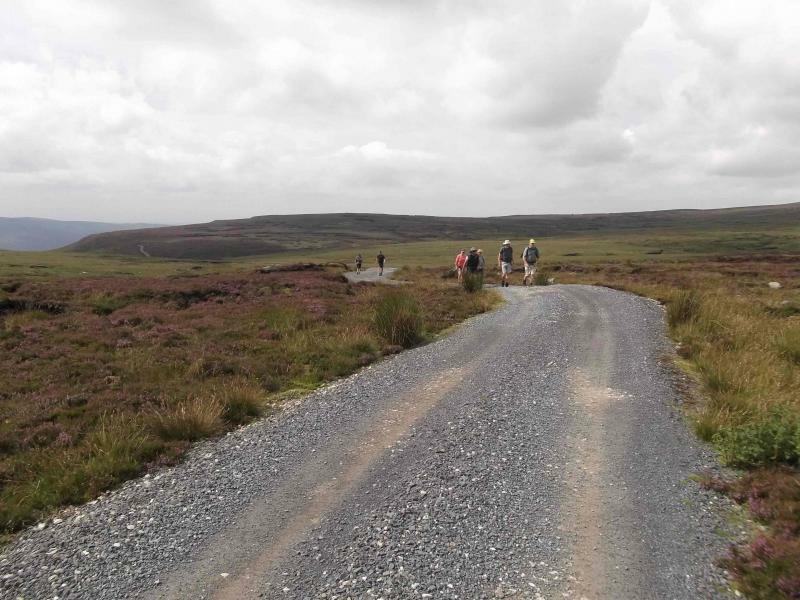 The walk turned out to be more than 14 miles in distance having added on over a mile by missing the correct route and more distance was added by sticking to the roads at the end. 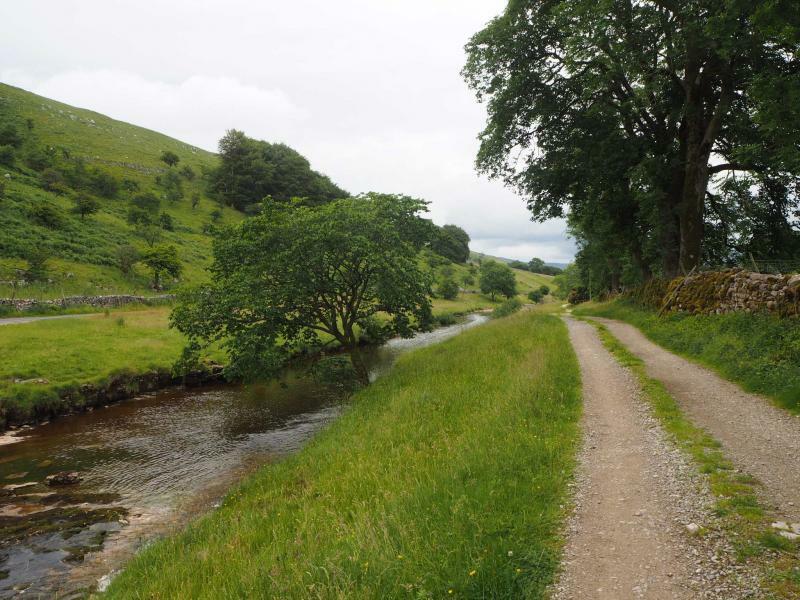 The last stage of around 14 miles from Grayrigg to Bowness is scheduled for Thursday 3rd December, info to follow. 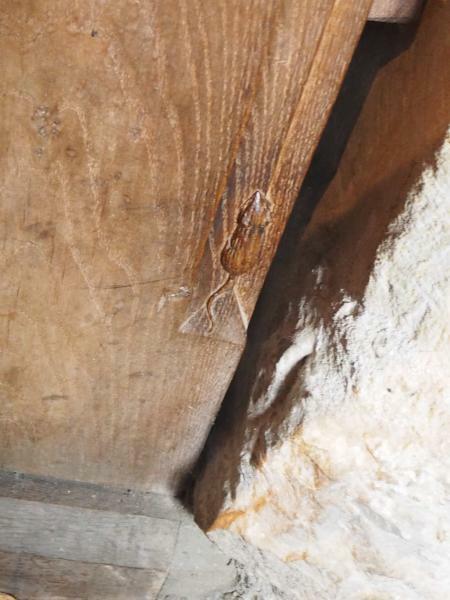 Please click on the link below for the photos. 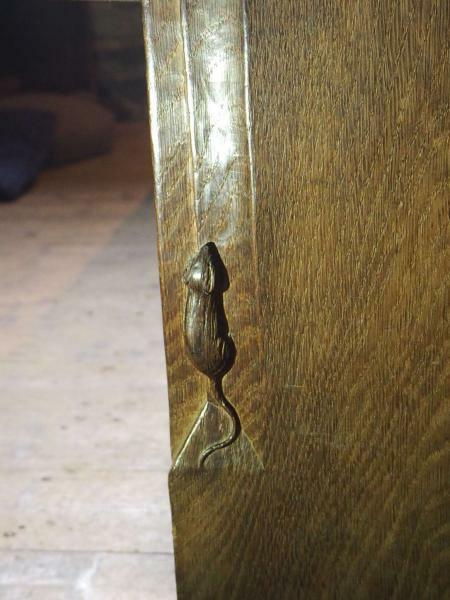 Thank you to John Rattray for these. It looks like it was an extremely challenging day! 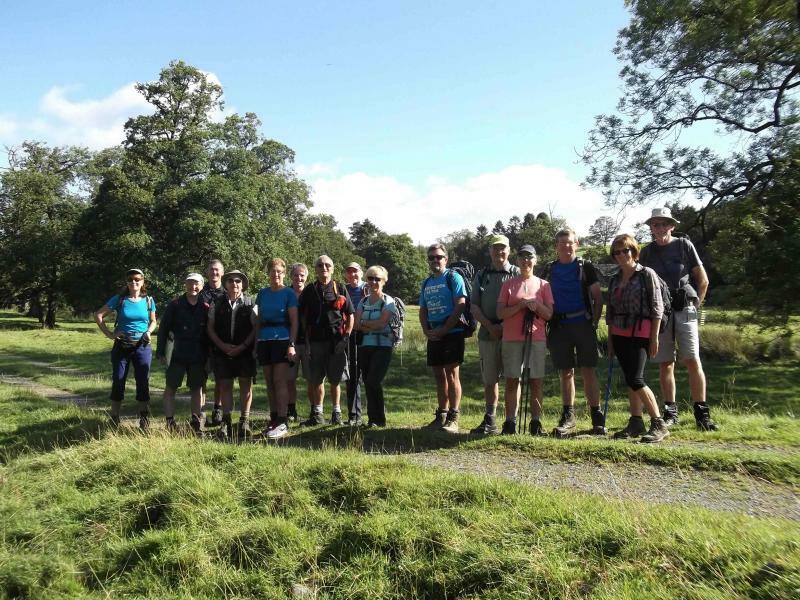 Eight Plodders met on a beautiful sunny day at Sedbergh on Tuesday 27th October at 10am to carry on walking the Dales Way. 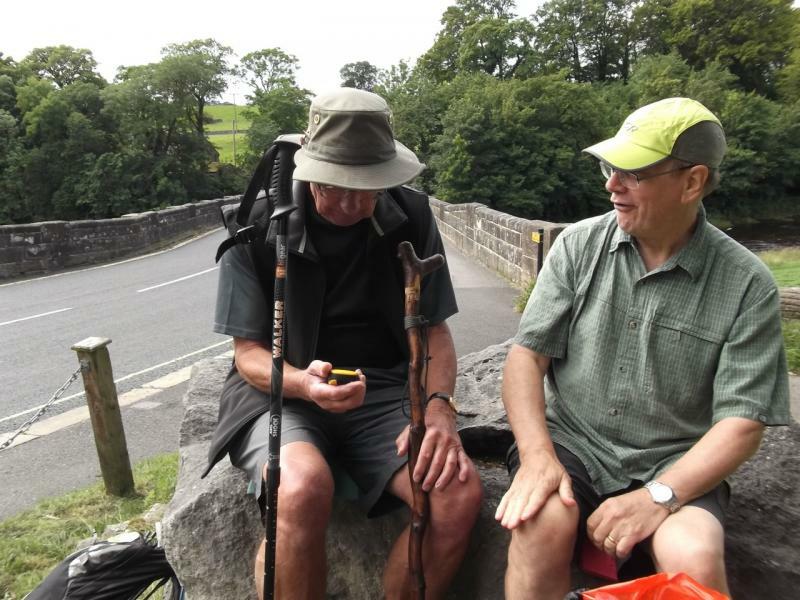 On arrival at Sedbergh, Allan's car was found without it's driver, so the otherleader, Neil, set out to locate him in the nearest open cafe and joined him for a drink. All the Plodders had been given definite instructions to which car park to meet, however, on the day, one car ended up in the wrong car park and after moving it to the correct one and finding it couldn't use the car parking ticket it was returned to the upper car park. We then set off in two cars to Cow Dub where Stage 4 had finished. 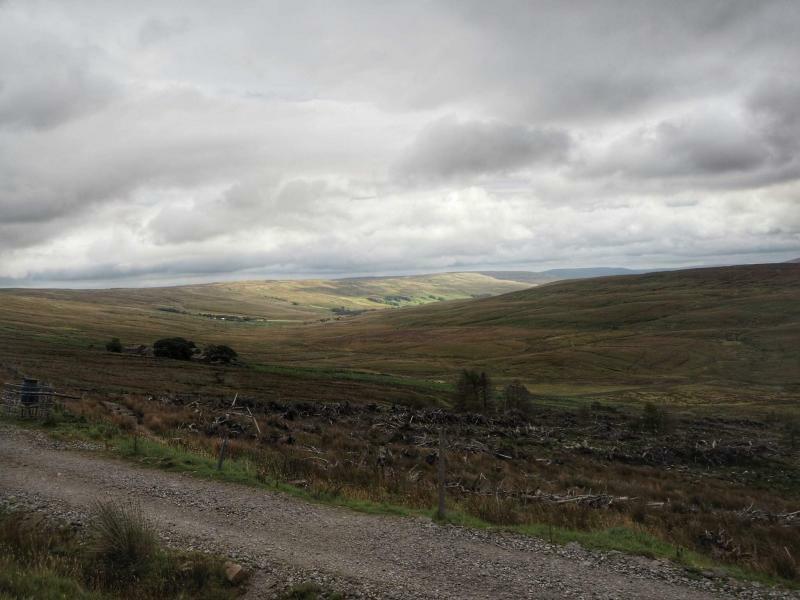 Initially it was a metalled road walk but at the point where we should have left it on a footpath Neil was distracted talking about a B&B he had stayed at while doing the Dales Way previously. 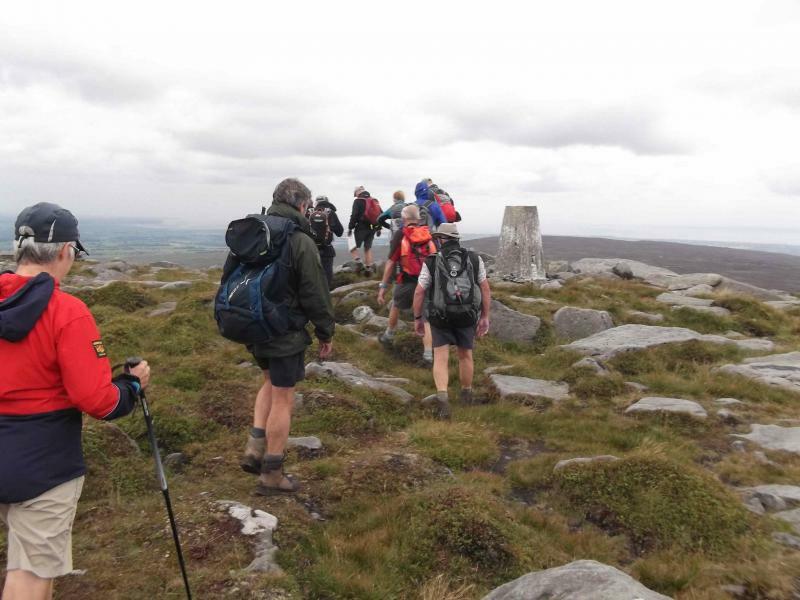 It was a good half mile further on when he stopped to check a footpath off to the left when John said we where off the Way and Roger said he had seen a footpath sign further back at Cow Dub that Neil realised his mistake. A quick check on John's GPS and we went over Jenny's Bridge and up the hillside to regain the designated path, hereafter Neil paid more attention and no more mistakes where made. 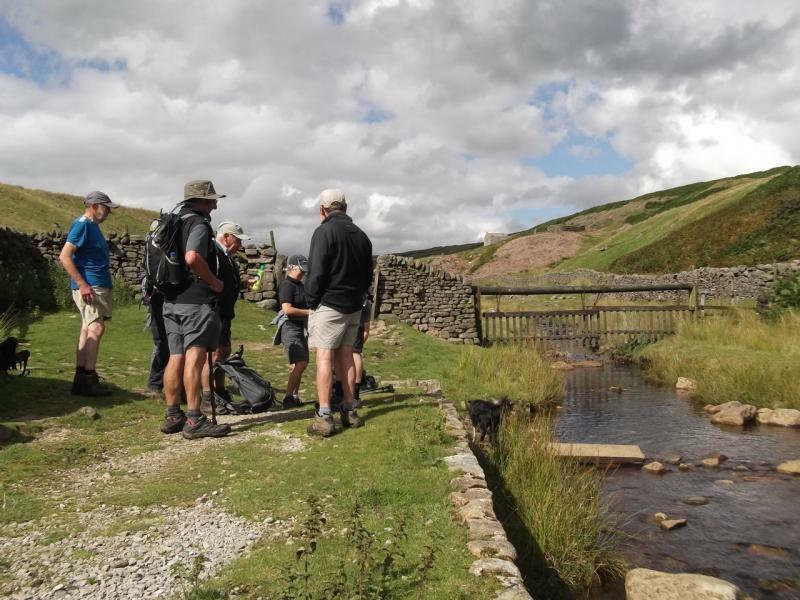 We stopped for a drink at Tommy Bridge where Allan and Neil asked for a volunteer to run them back to their cars at the end of the walk, something they should have done earlier, Mike and Heather obliging, and then it was onward towards Dent Village. On reaching the path below Dent a quick show of hands and it was decided to make the diversion into Dent Village, where picnic tables and toilets beckoned. 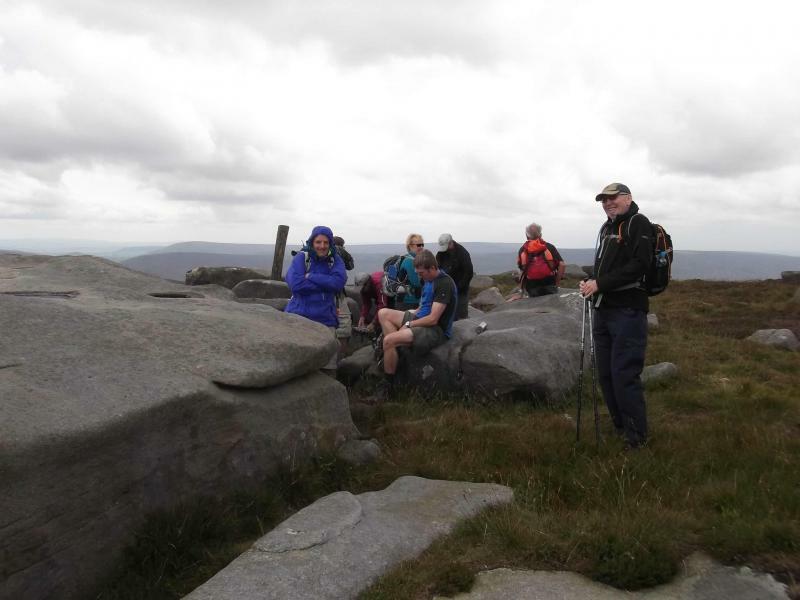 Here we had lunch with lovely views across the Dale. 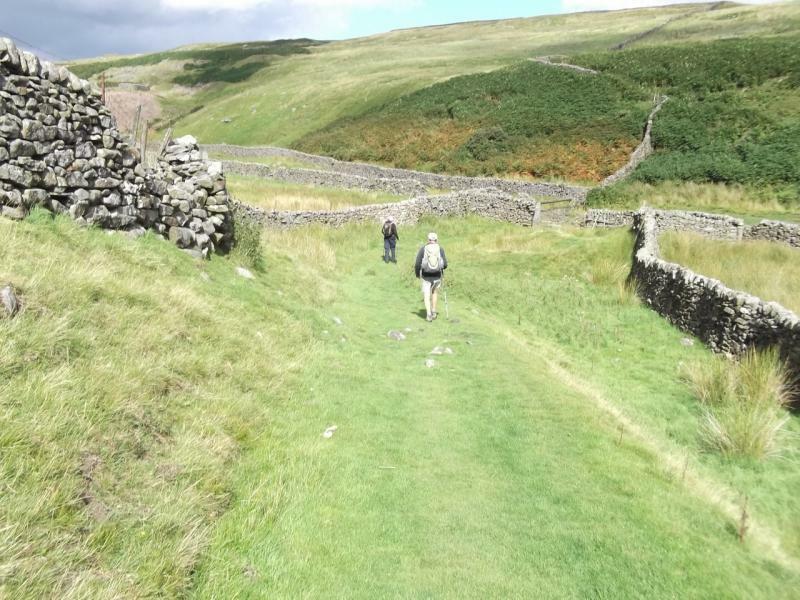 We carried on down the metalled road until we met the Dale's Way once again, Neil checking every footpath to ensure that no more mistakes where made. The only incident to spoil the route was the discovery of an aborted calf in a field next to the path. 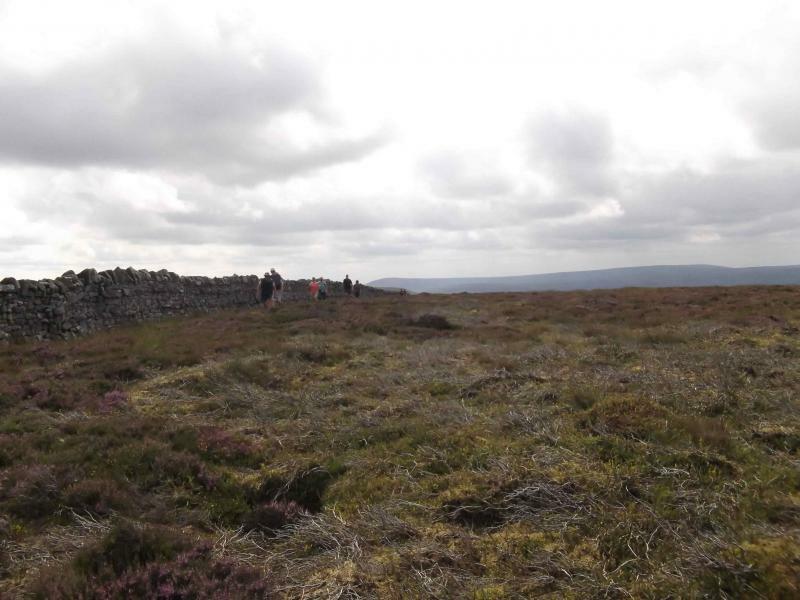 We found a low flat wall prior to the climb out of the Dale where we had a further drink, girding our loins for the uphill pull to follow. 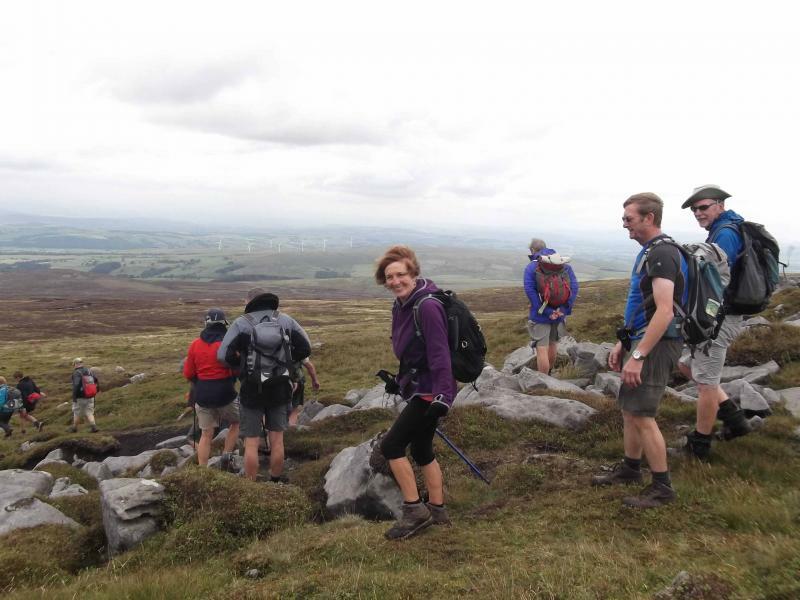 It was a pleasant climb, however, affording grand views before dropping down to Millthrop where a quick glance at John's GPS map was needed to see which road led to our final destination and awaiting cars. 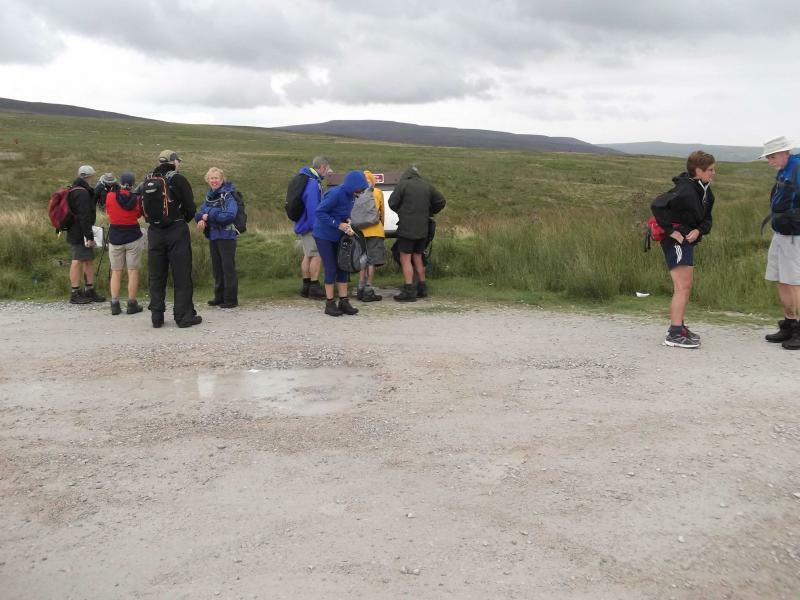 Everyone seemed to enjoy the day and all said they where looking forward to the next Stage from Sedbergh to wherever (the end of that stage to be decided after Allan and Neil do the reccy). 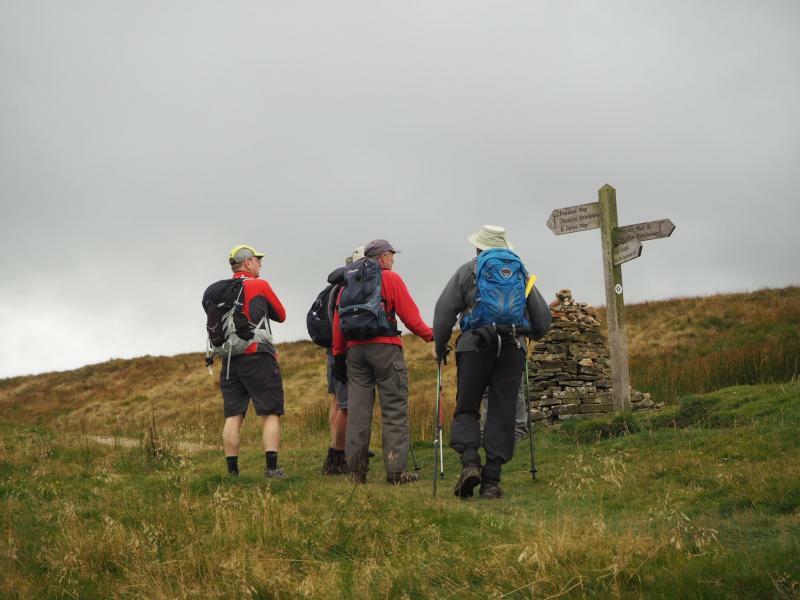 Stage 6 will be on 18th November, meeting at the same car park in Sedbergh, flyer to be sent out nearer the time. 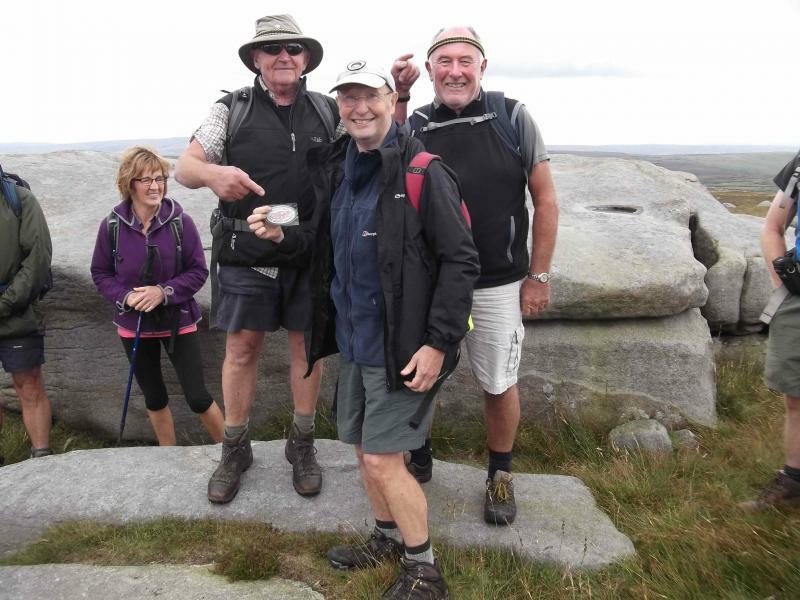 Seven Plodders: Allan, Heather, Mike, Bernard, Phil, John and Don assembled at a disused quarry just south of Oughtershaw. 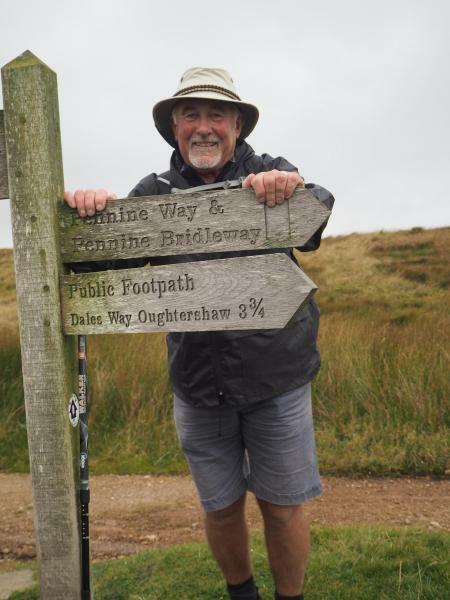 Neil, one of the joint leaders of this Dales Way walk, had suffered a bad back earlier in the week and sent in a sick note which was accepted by the group. 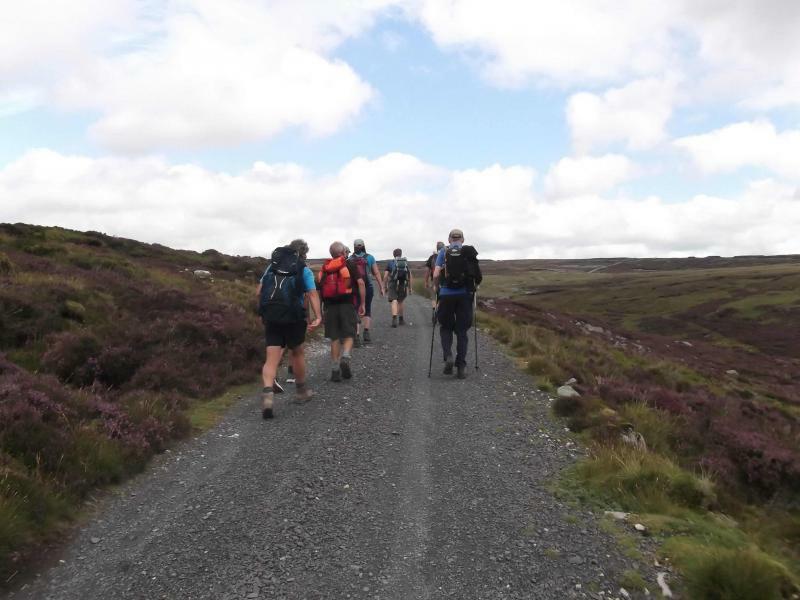 The magnificent seven set off on time from the quarry on our quest to reach Cowgill. We set off down hill, which makes a change, towards the hamlet of Oughtershaw where we followed the course of Oughtershaw Beck towards Nethergill and Swarthgill and had our first refreshment stop at an old barn before our ascent up Cam Houses and Cam Pasture and beyond where we joined the Pennine Way and Pennine Bridleway, now walking in a south-westerly direction, with magnificent views of Pen-y-Ghent, Whernside and Ingleborough onward to Cam End where we left the Pennine Way and carried on to our lunch stop at a bridge which crossed Gayle Beck. 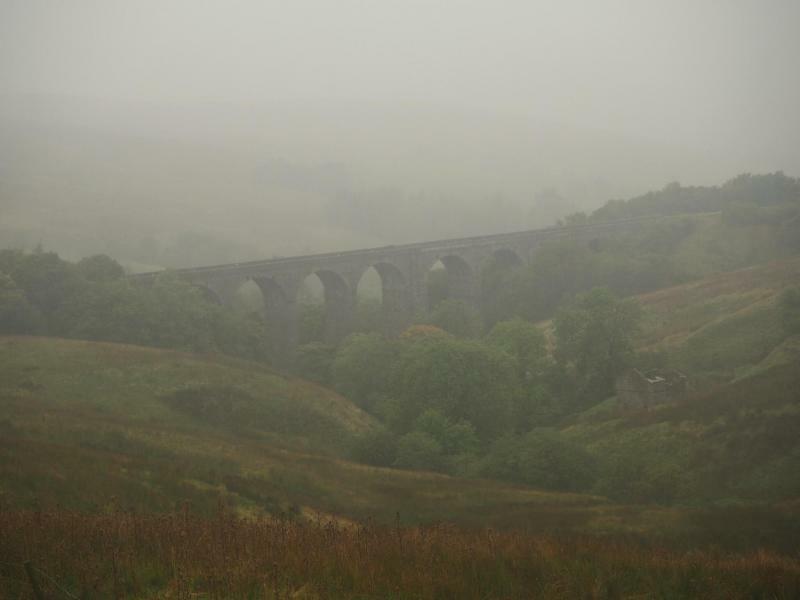 The weather now took a turn for the worse with driving rain coming up the dale which spoiled the walk over Blea Moor to where we met the road. It was downhill from here on tarmac passing the splendid Dent Head Viaduct and onwards to our destination at Cowgill where Allan's car was waiting to take us back to our cars at Oughtershaw quarry via a coffee and cake stop at a café in Hawes. 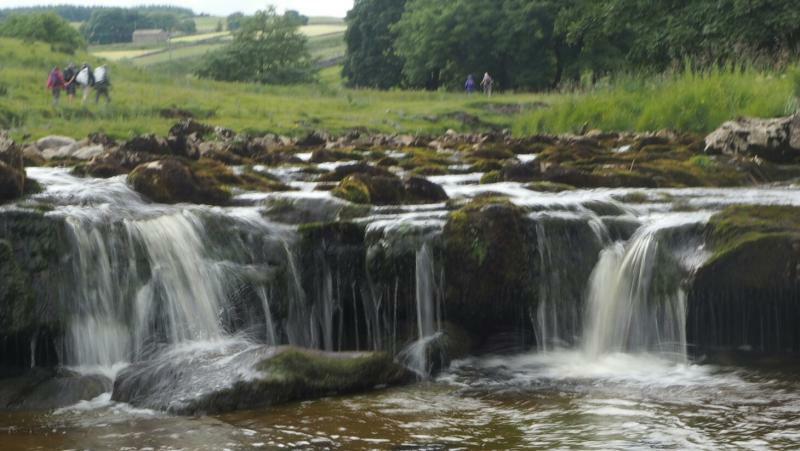 Despite the weather, a most enjoyable day in the Yorkshire Dale. 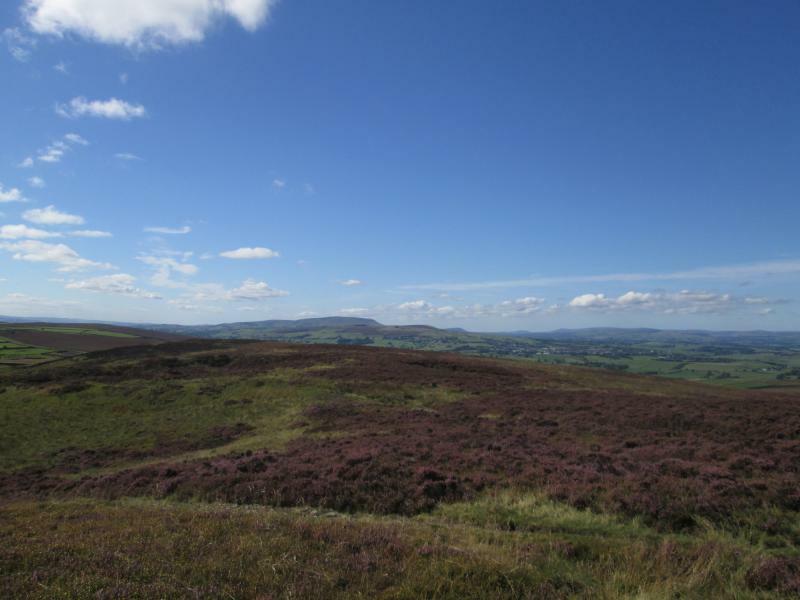 Seven people and one dog met in bright autumn sunshine for an 11.5 mile walk straddling the Lancashire/Yorkshire border. 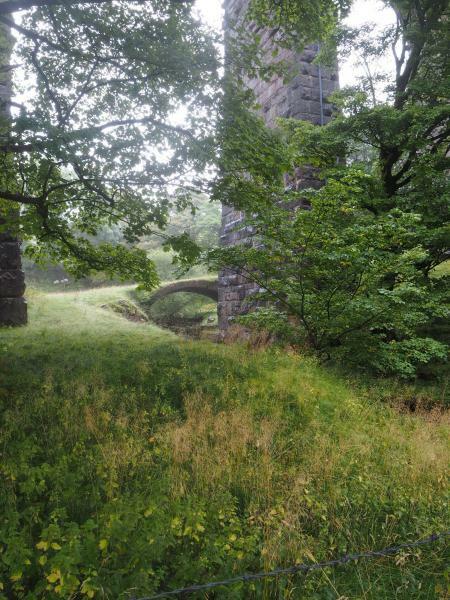 The route started by going through one of the prettier parts of Earby. It was here that Bernard was accosted by a lady who wanted to come on the walk with us. At first she was quite persistent, but she rapidly lost interest when we told her it was a 12 mile walk. 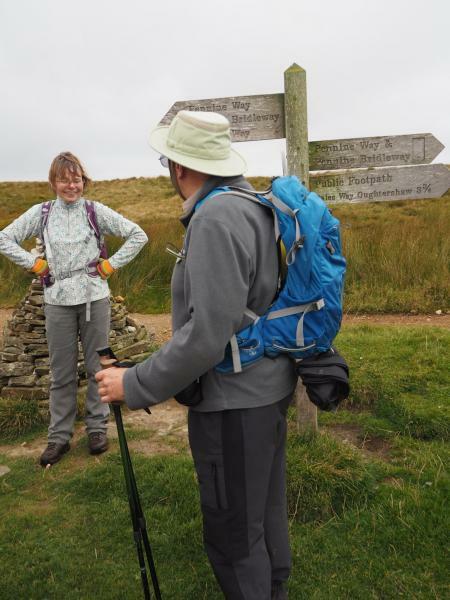 Leaving her behind, we started the continuous and sometimes steep one and a half mile climb up to the moor top and the Yorkshire border. From there we could look down on the village of Lothersdale in the valley below. 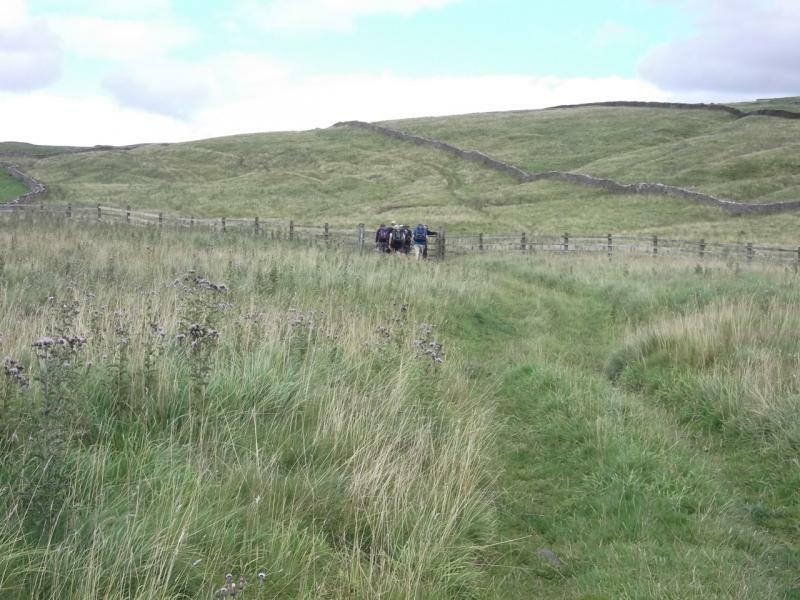 An easy descent through grassy fields took us to the road to Lothersdale and so to the village itself. 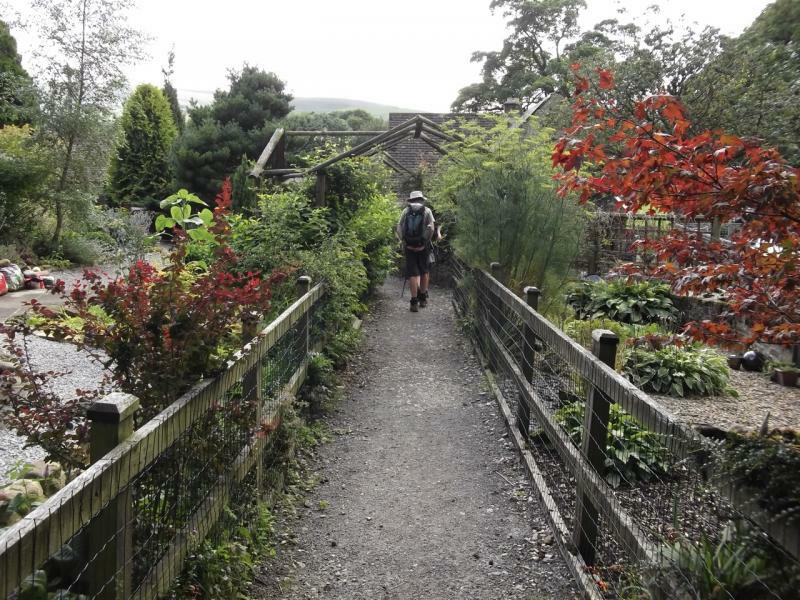 We stopped for morning drinks in the remarkably well-maintained children’s playground, before continuing through the village to meet the Pennine Way. 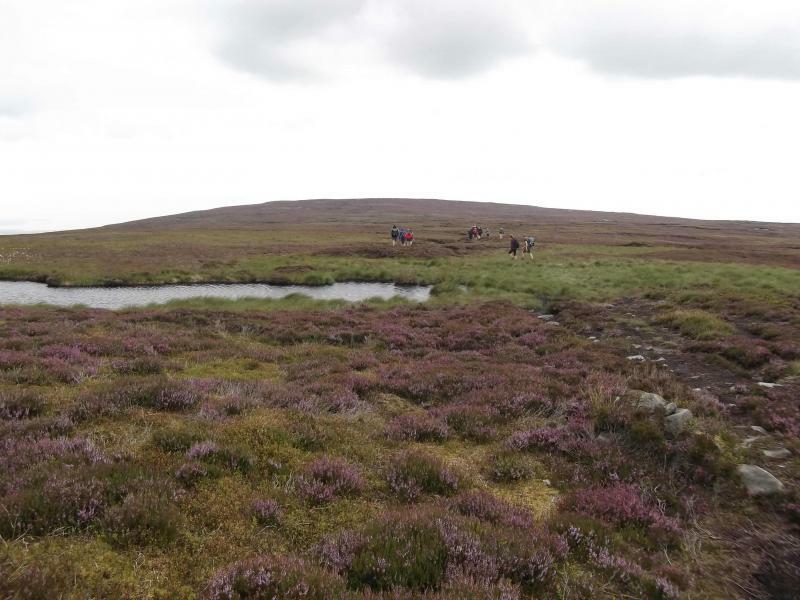 Then it was up to the moor top again, this time following the Pennine Way to the high spot of Pinhaw Beacon. 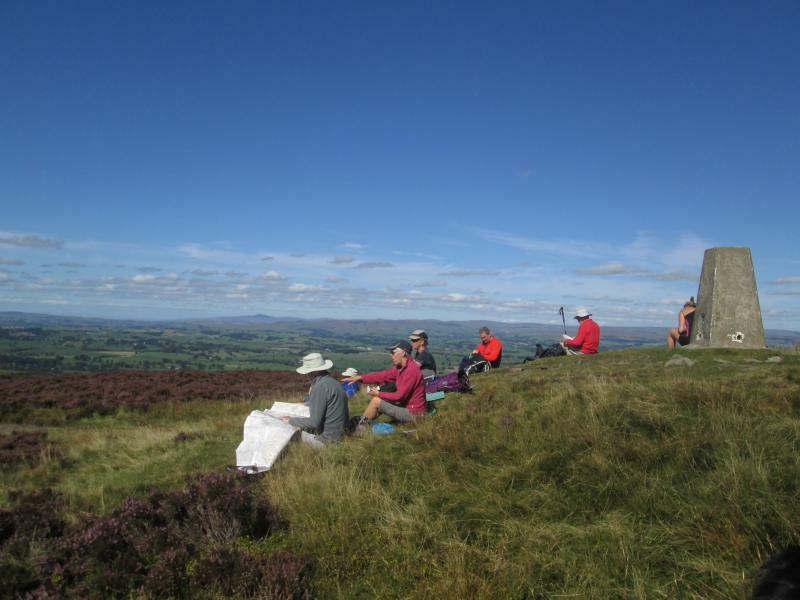 On reaching the trig point, we sat on the grass in the sun to eat lunch. 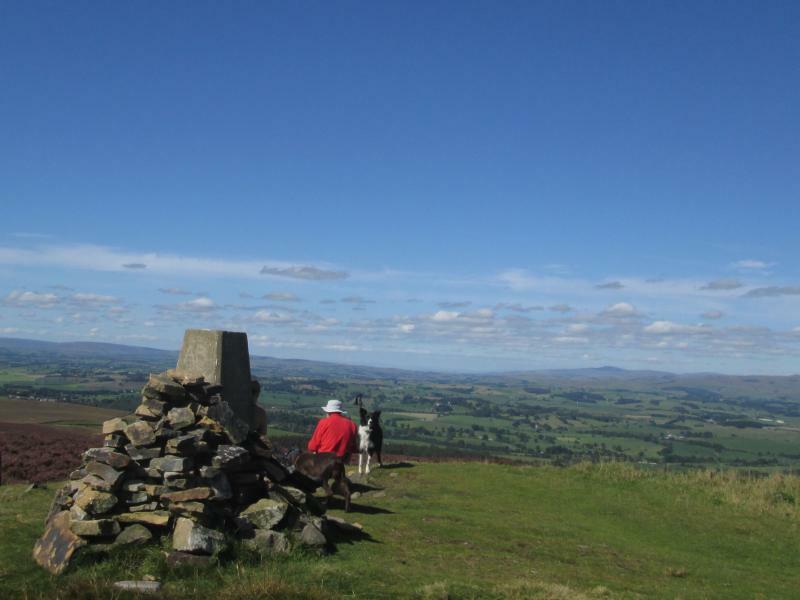 We didn’t have it all to ourselves: there were three walkers and a runner up there already enjoying the sunshine and extensive views. 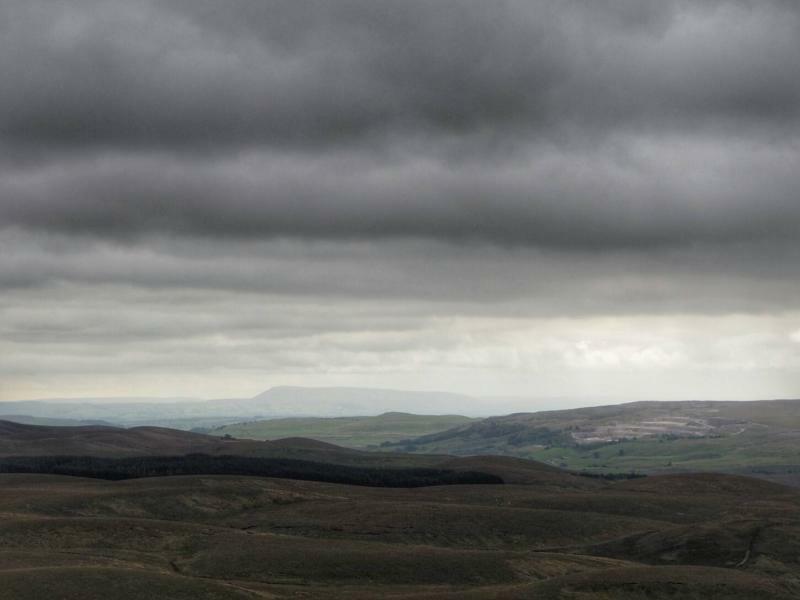 To the north Pen-y-gent and Whernside were clearly visible, with Pendle Hill dominating the view to the west and Great Whernside to the east. 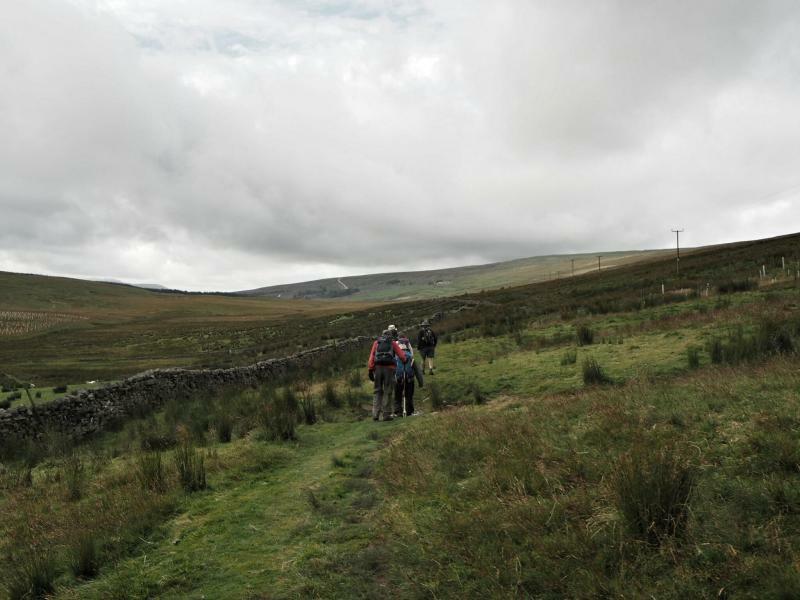 After lunch, still following the Pennine Way, we descended into Thornton-in-Craven. 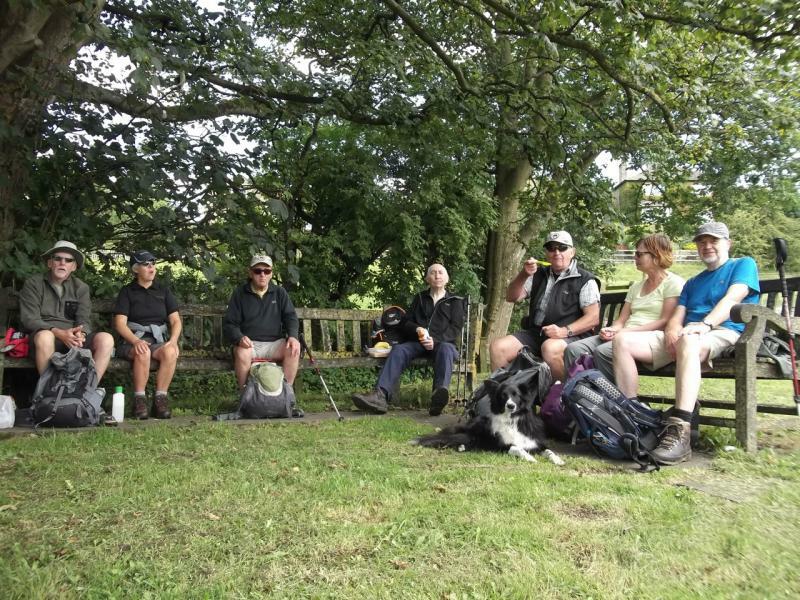 We then left the Pennine Way and headed north-west to meet the towpath of the Leeds and Liverpool canal just a few hundred yards from where it is crossed by a minor road leading back to Thornton. From this road a footpath across the fields leads to Thornton church. This was the route for the majority of the group, but it meant going through a large herd of cows. 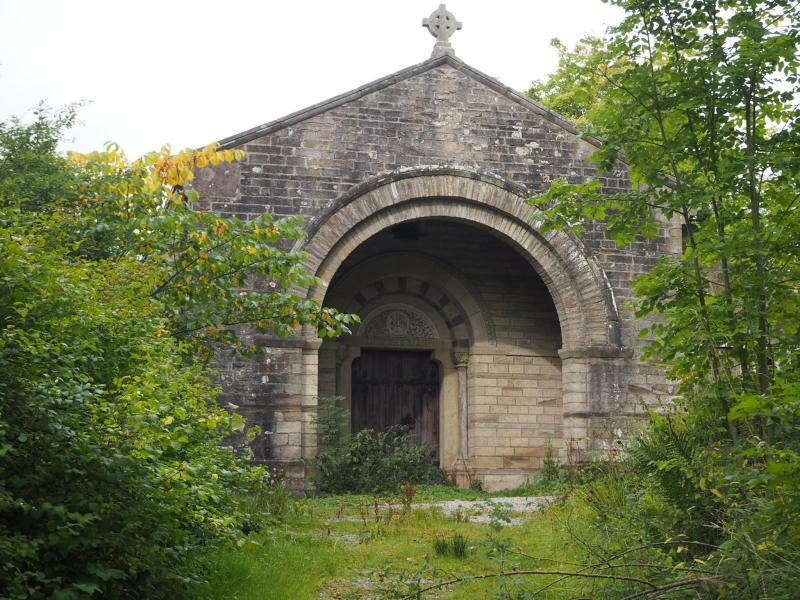 Heather decided it was better not to take Millie (the dog) through the cows, so accompanied by Alma she walked Millie down the road to the Church, arriving at the same time as the remainder of the group for a brief drinks stop. 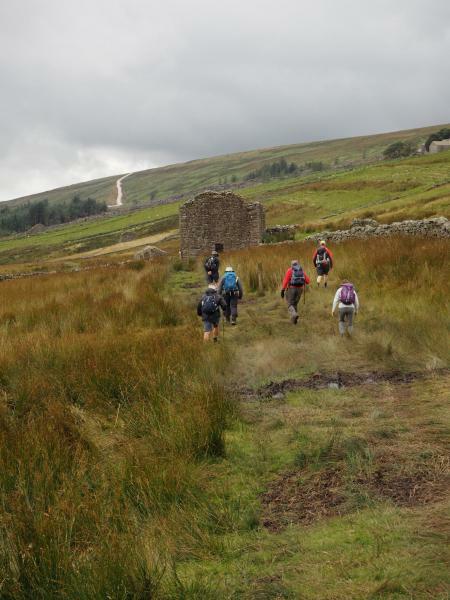 The final leg of our route followed the Pendle Way through the fields from Thornton church back to Earby and our cars. 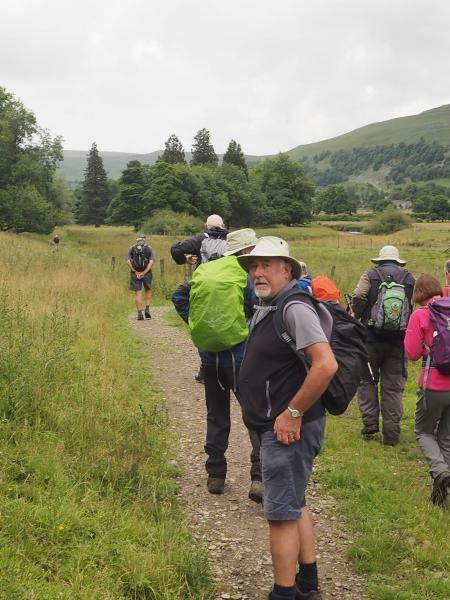 The walk started from the main car park in Burnsall a little after the scheduled time of 10.00am (the leader and the chief scout had been delayed en route!). 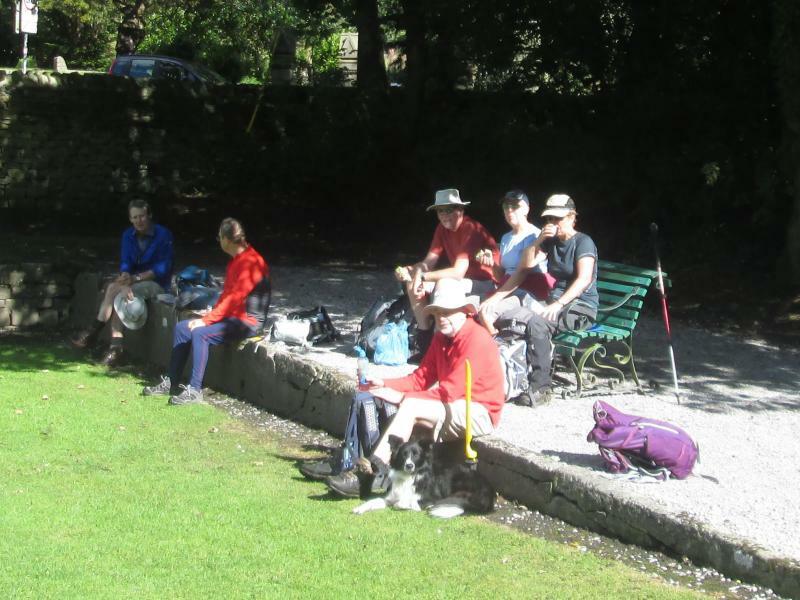 The group consisted of ten walkers and one dog (Millie). From the village the walk led initially towards the hamlet of Thorpe through a succession of narrow fields. 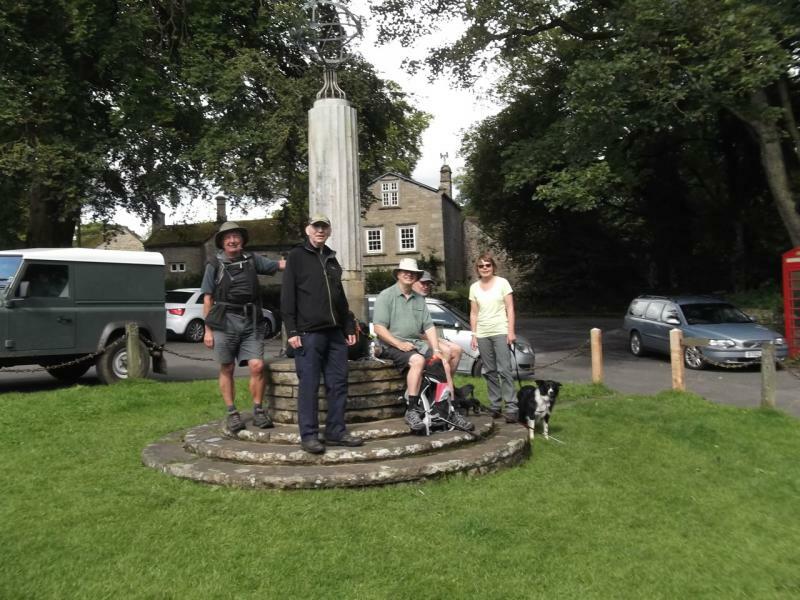 In Thorpe a brief stop was made to read an information board which related the story of the Burnsall maypole having been removed from Burnsall and erected on that spot. 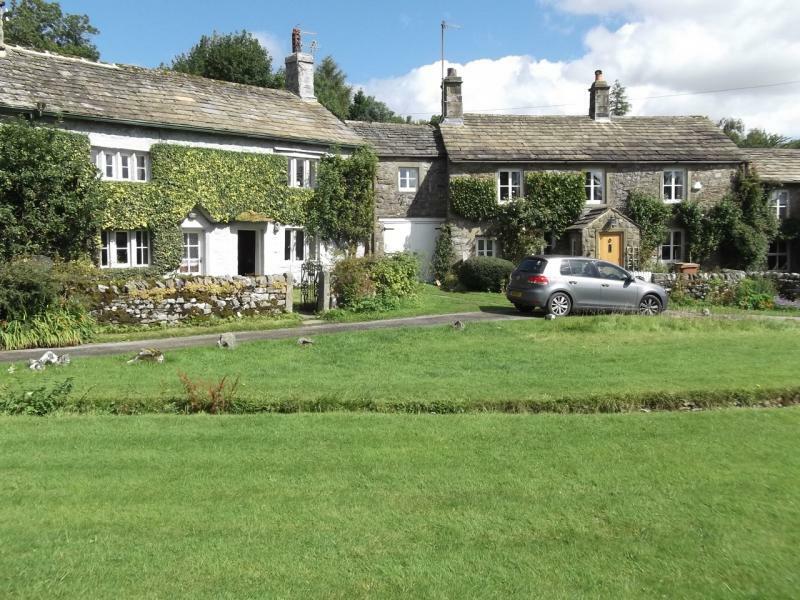 After leaving Thorpe more typical Dales meadows were traversed to reach the village of Linton where we stopped for our coffee break on the village green. 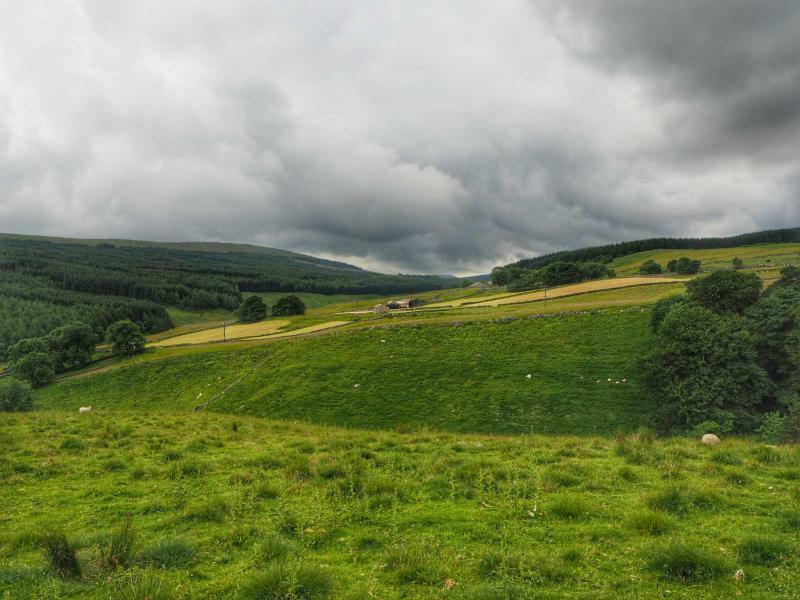 The somewhat threatening clouds which were around when we left Burnsall had now disappeared and we had our break in pleasant sunshine. 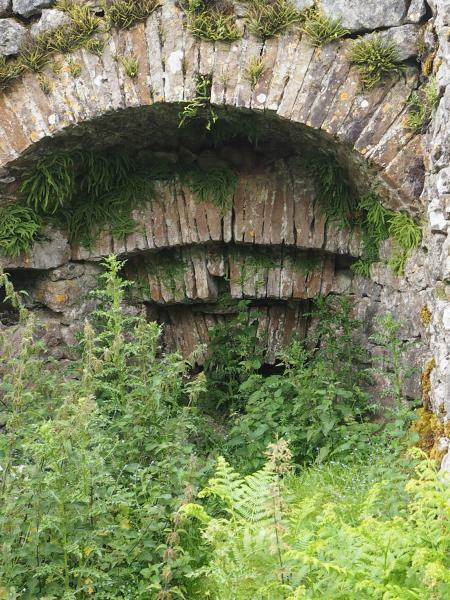 The next objective was Skirethorns with its attractive country cottages. 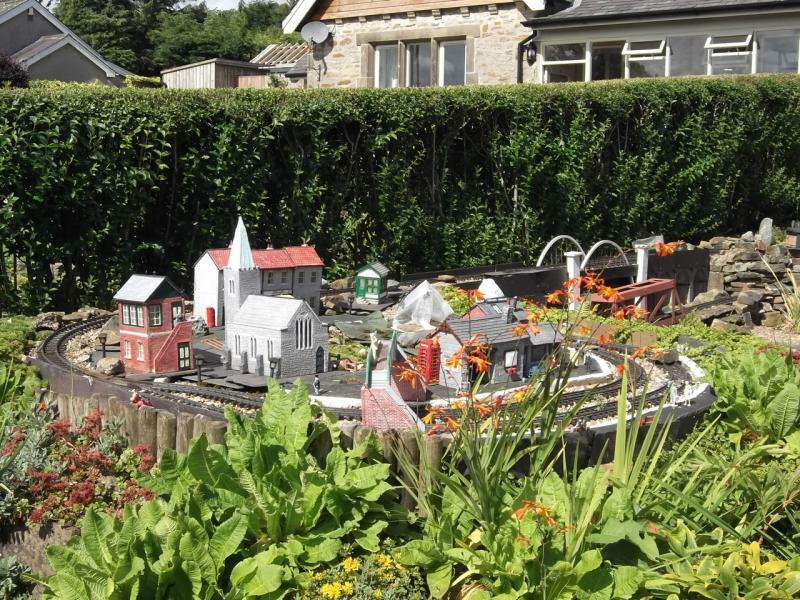 On Skirethorns Lane, in the front garden of one of the houses, there was an extensive model railway (see photos). 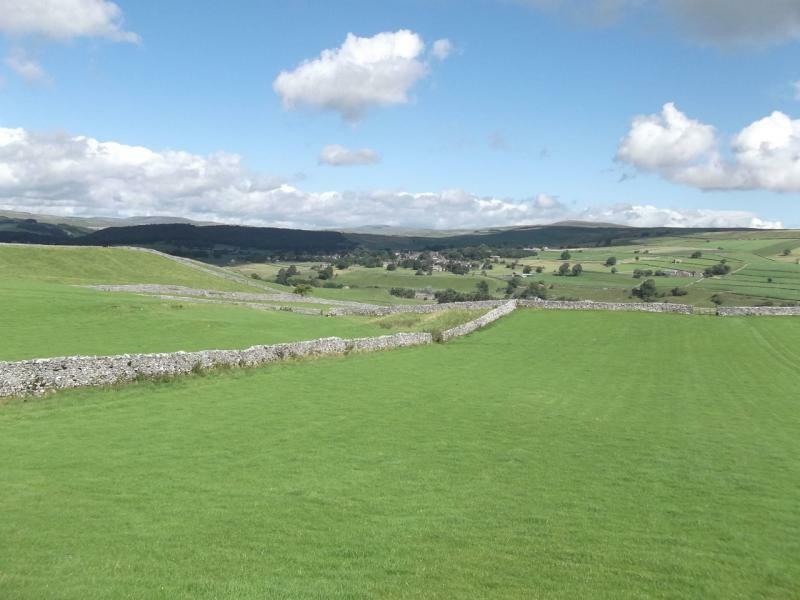 After crossing the B6160 at the end of Skirethorns Lane we passed Wharfedale Rugby Club on the way into Threshfield. 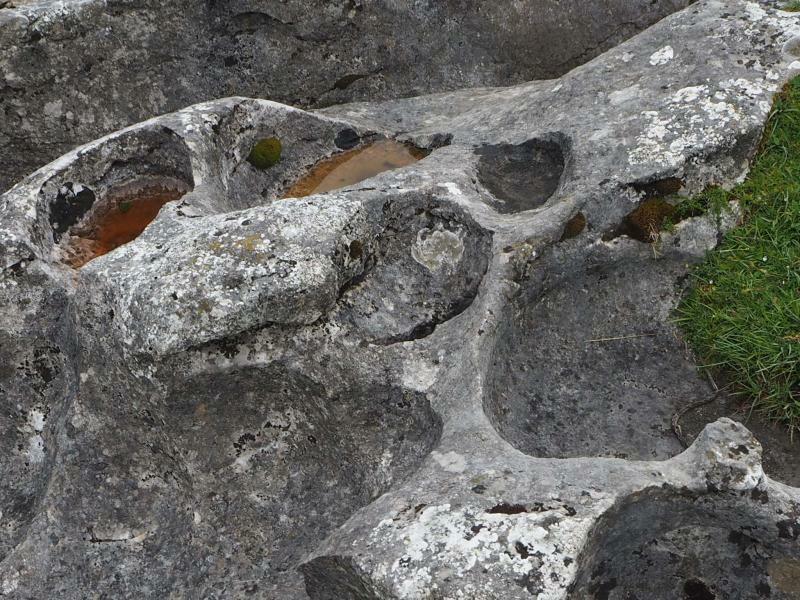 On the banking overlooking the River Wharfe, by the bridge into Grassington, lunch was taken. 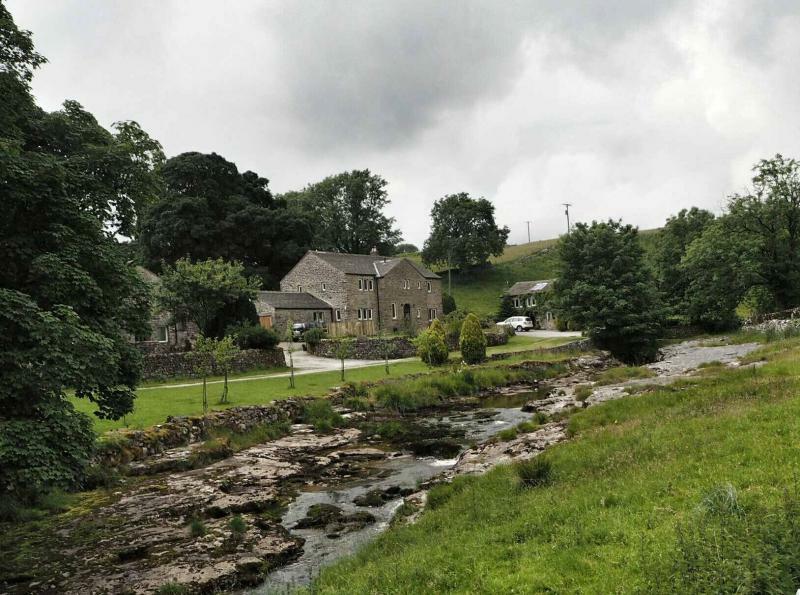 After lunch the route took us up Main Street in Grassington before branching off, just after the Town Hall, to pass Bank Lathe and Intake Lathe and ascend steeply to Moor Lane. 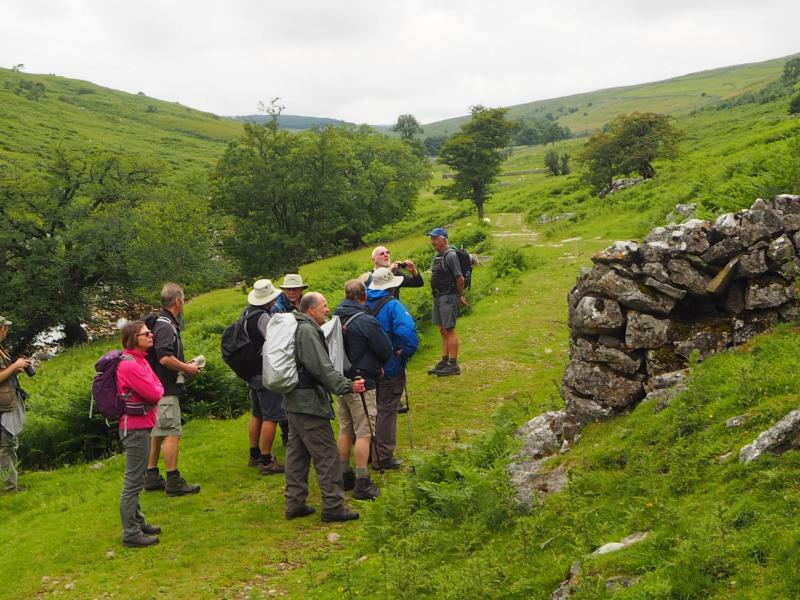 From Moor Lane two bridleways, Edge Lane and Tinkers Lane, were taken in turn to lead us to the area of old lead mine workings north-east of Grassington. 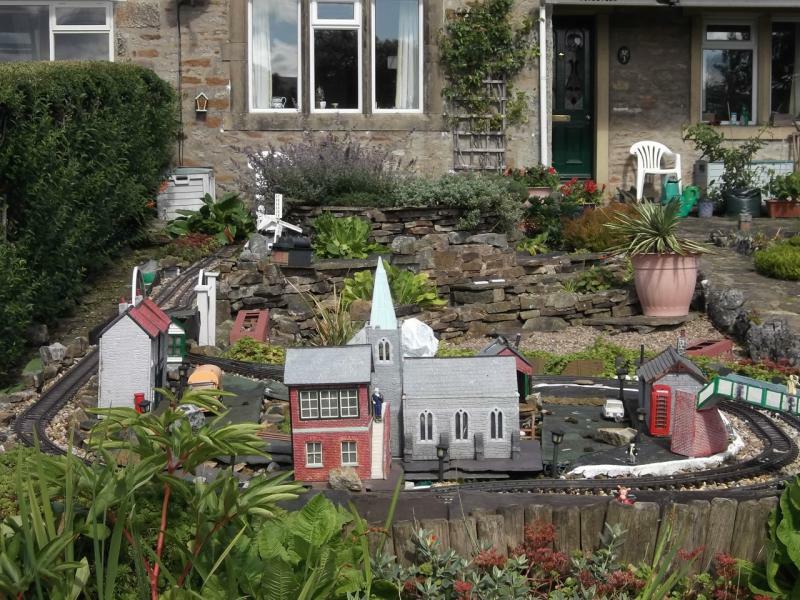 Here we met Hebden Beck. 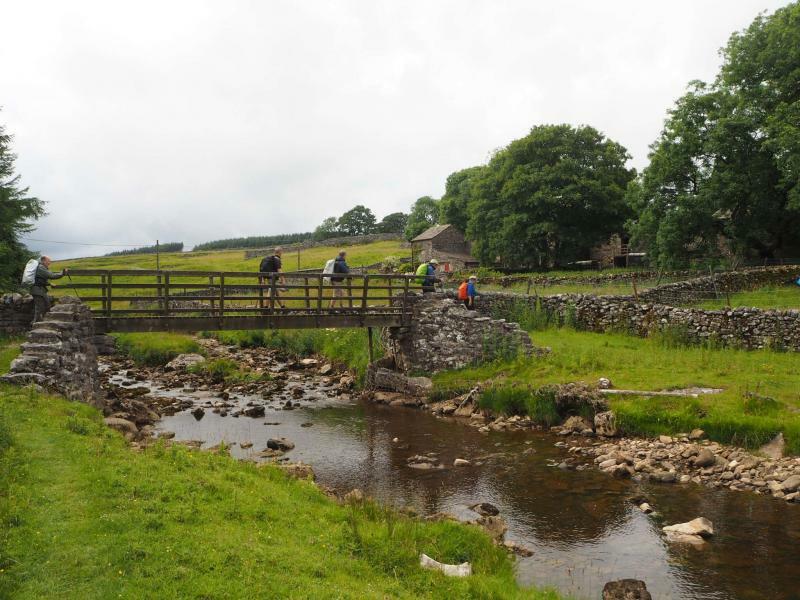 Hebden Beck was then followed south through Hole Bottom and Hebden before we eventually reached the River Wharfe. 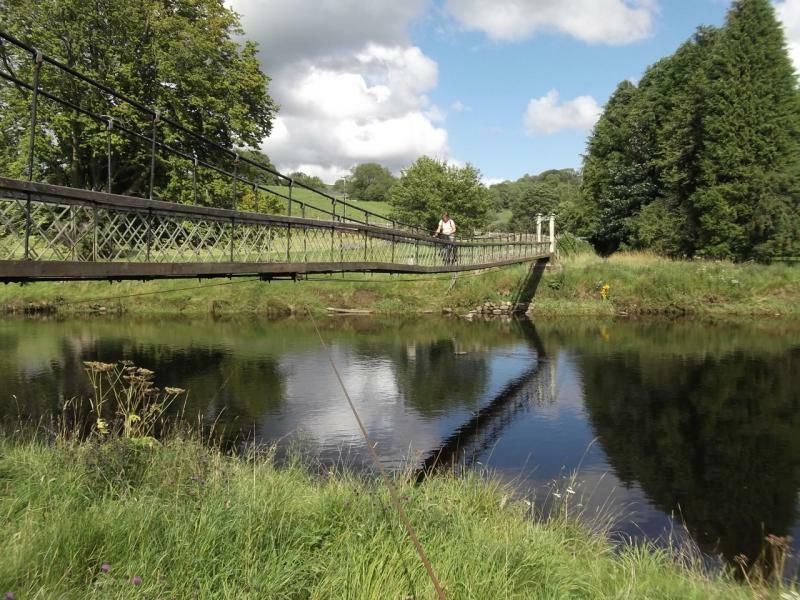 The river was crossed on the somewhat rickety suspension bridge; something which Millie was not overkeen on! 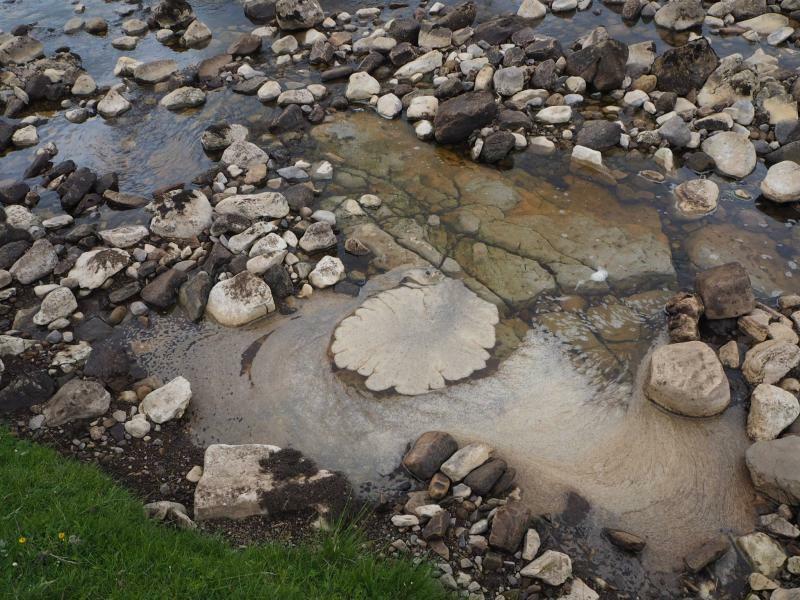 The stepping stones which might have been used under favourable conditions were completely submerged in places. 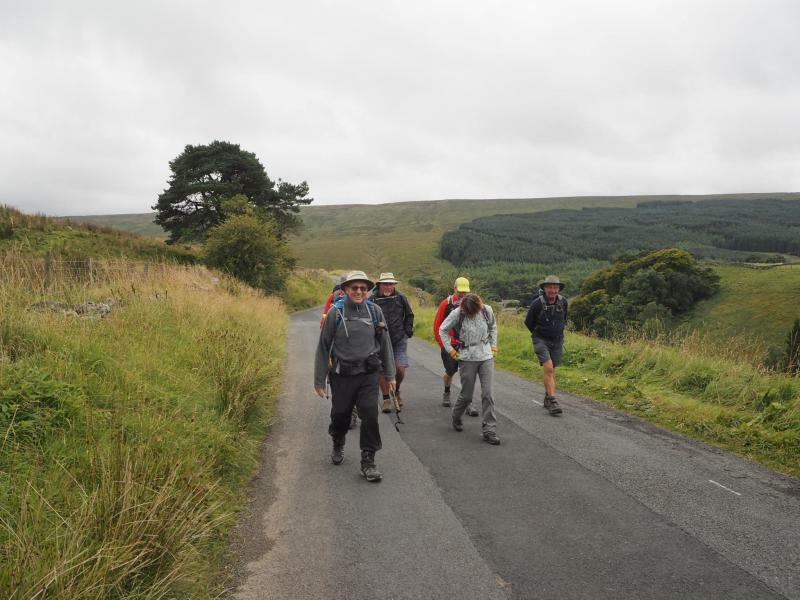 The final mile or so of the walk was along the Dales Way back to Burnsall where some of the group finished off the day at the Red Lion. as we had our well earned lunch. 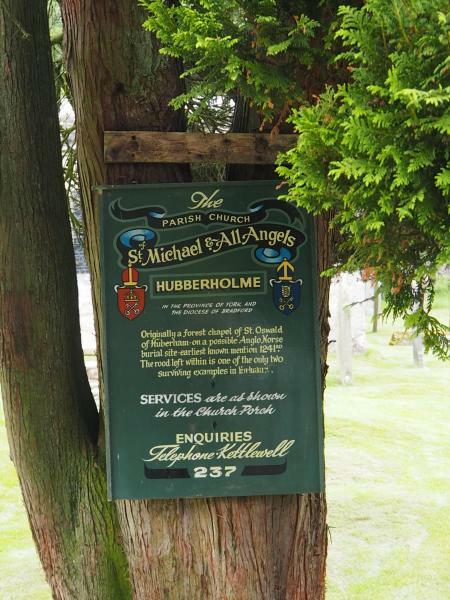 Two miles heading downhill brought us to Jubilee Tower and after a short stop it was across the fields back to Abbeystead. 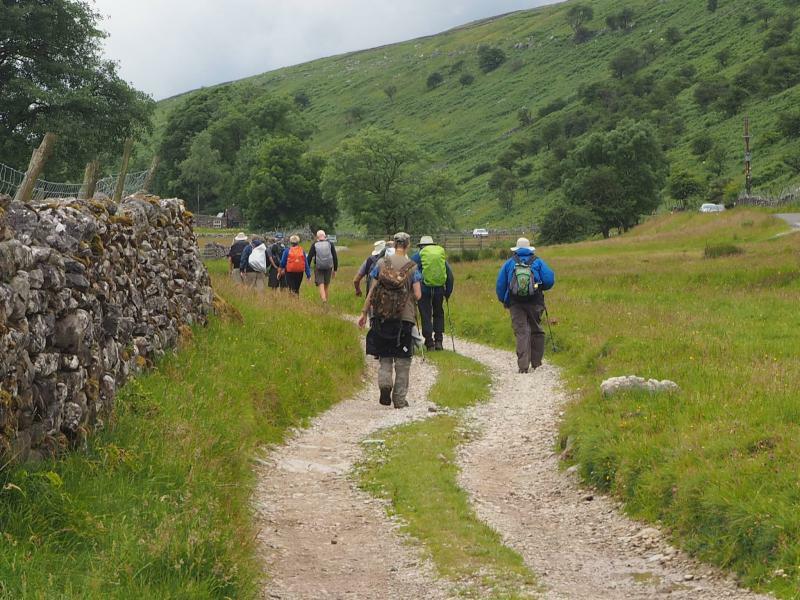 TWELVE Plodders gathered at Kettlewell on 22nd July to walk their next Stage of The Dales' Way to Oughtershaw. 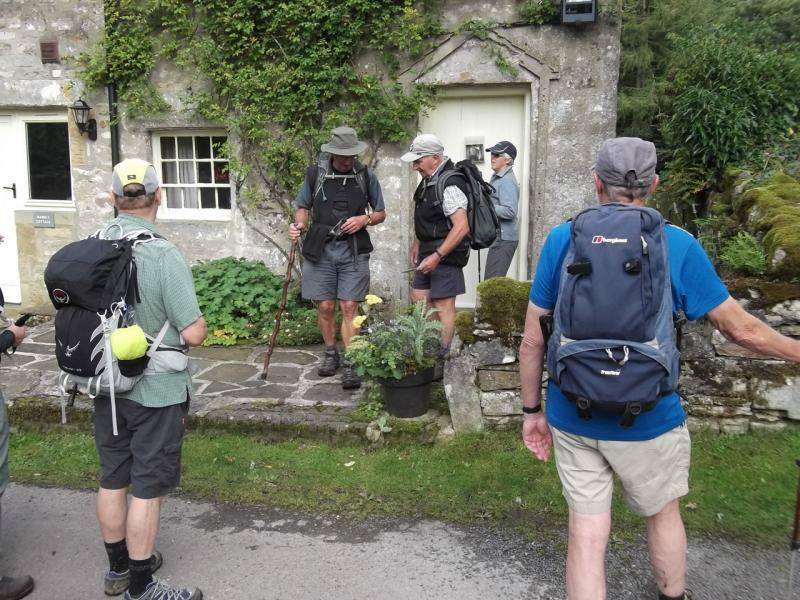 Three of the Plodders arranged to meet at Oughtershaw half an hour earlier so they could leave transport for the return to Kettlewell, but due to some bad luck and putting too much faith into his SatNav one of them arrived a little late and was passed going to Oughtershaw by the other two Plodders driving back to Kettlewell. 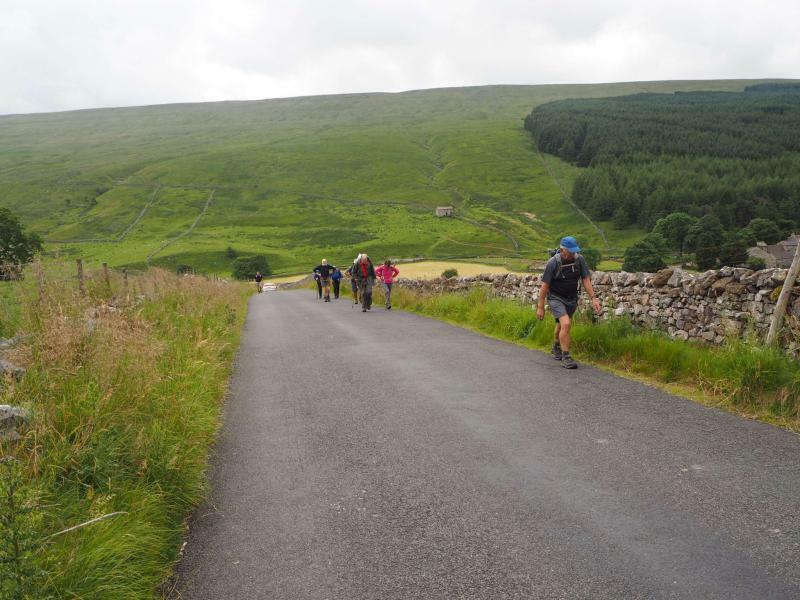 A quick U-turn and a chase through the narrow Dales lanes brought all three Plodders together and return transport was secured. Because of this the walk started a little late. The forecast for the day was reasonable and just a couple of showers cooled the party. 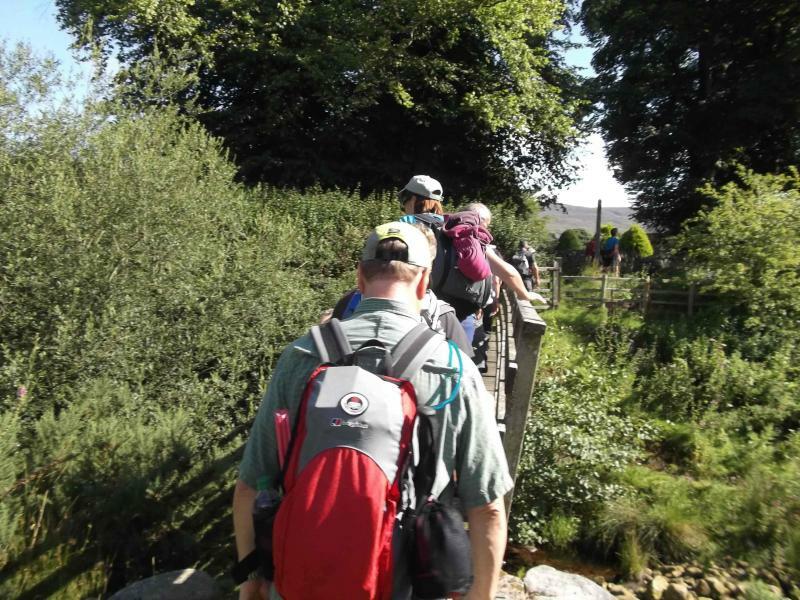 The route took us to the left of the River Wharfe and, as usual, some of the walkers got ahead of the leaders and this resulted in straying off the path on the odd occasion (the leaders following them blindly). 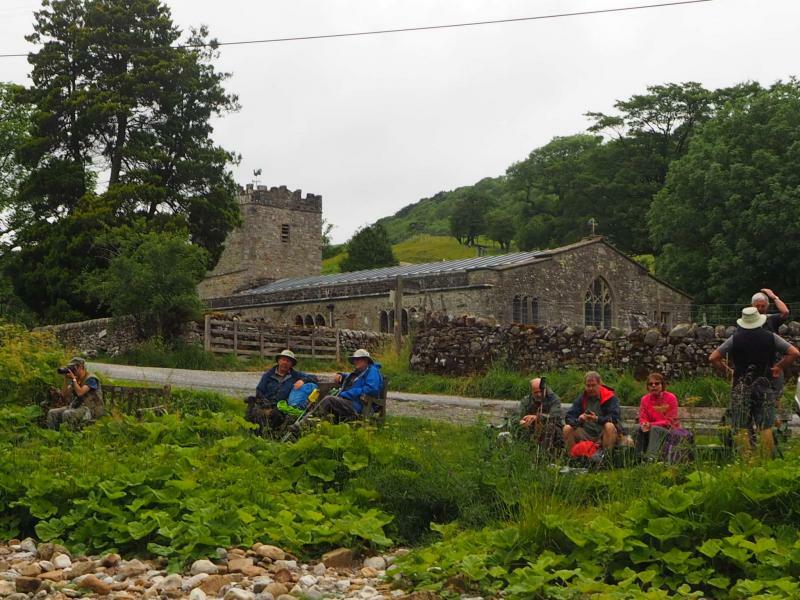 A drink stop was taken between Kettlewell and Buckden with lunch being eaten at Hubberholme near St Michael's Church, another displaying work of Mouseman Robert Thompson. Those who ate by the river were joined by biting midges but the setting was too good to miss. From here we continued following the Wharfe up the valley, this time on the right bank. 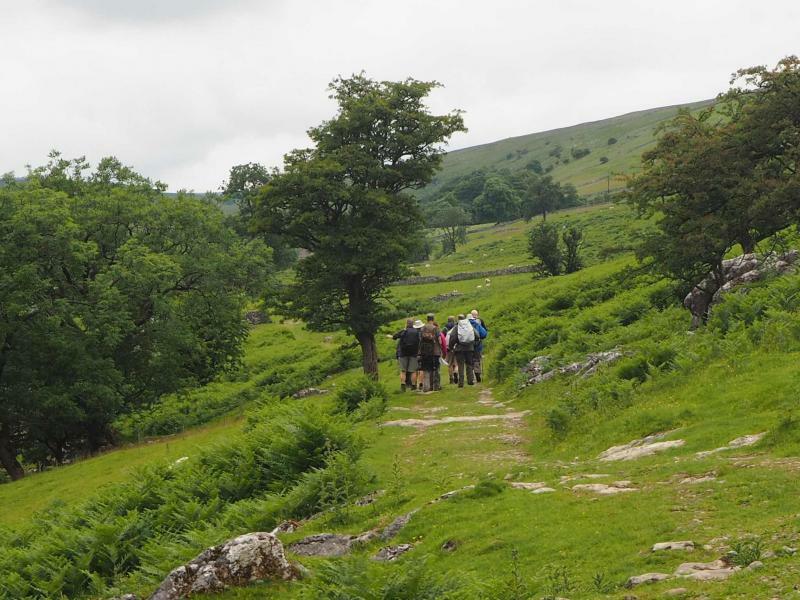 The path took us through two farms, past a lime kiln and Yockenthwaite Stone Circle. 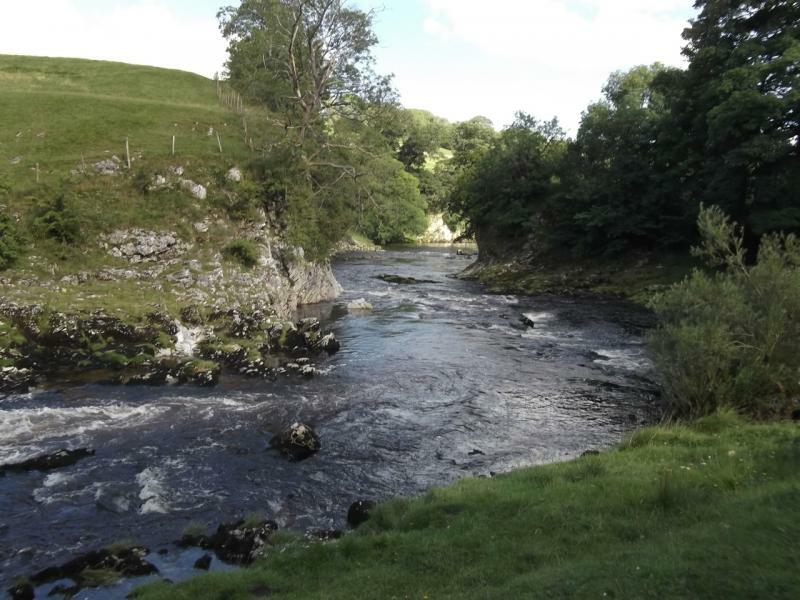 After the second farm we traversed the Wharfe and walked up the left bank to Beckermonds and over the river and up the road back to the two waiting cars. The next stage was scheduled for August but due to a prior arrangement one of the leaders has it has now been postponed until September.